It was always a pre-theoretical impulse that drew me to the projects I worked on, with the first fabric sculptures and body painting I did arising from my love of Nature's patterns. Following this, the work I did with the body and distorting it through paint and sculpture resulted from dreams that I had and a curiosity to see an inner kinesthetic experience manifest. I have since found my approaches mirrored in the work of members of the Fluxus and Process Art movements, artists such as Eva Hesse and Joseph Beuys. Seeing Leger's Ballet Mechanique drew me away from the narrative to experiment with visual rhythm and it was while watching my first Stan Brackage film, that I saw/felt the kinesthetic on screen. I had no theory at that stage to explain what I was feeling I just knew that he had somehow exteriorized his internal workings and that it was something to do with the visual rhymes that he had created. Seeing his work drew me into a trance, where I was breathing between the material and the etheric. This was such an astounding experience that I spent the next ten years working with video and visual rhythm. While there were many suggestions, for example from the North American Flicker Filmmakers, as to what particular trance-inducing rhythms might be, I was drawn in the end to the rhythms in the natural world and have for the past five years in a private practice, been filming discrete moments in Nature. Setting up my camera and letting it run for two to three minutes without interruption to document unique combinations of light, fauna and water. Moments in which I see the invisible forces that underlie form, materialize briefly. 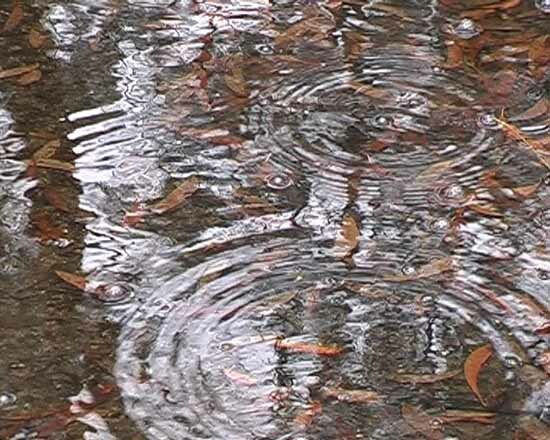 I call them 'songs' and have recently complied 12 in the DVD, 'Rain, Ocean, River: Visual Songs for Contemplation'. 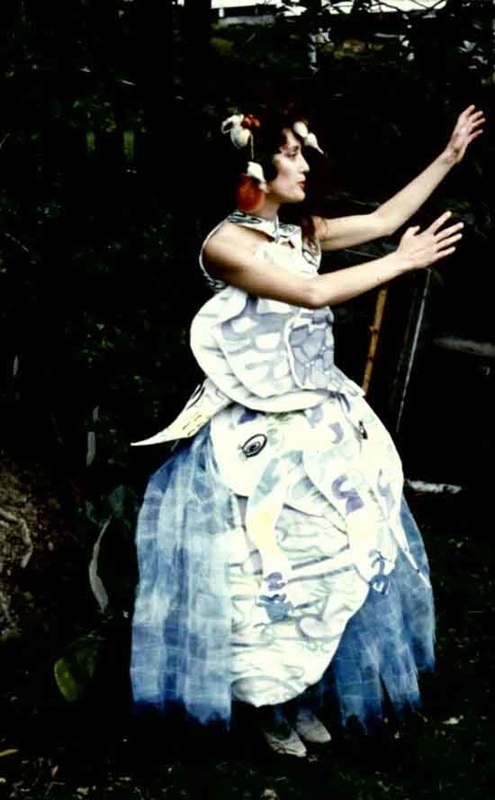 Patricia's art practice began in 1983 with wearable and body art in which she engaged with notions of performativity focusing on the alteration, through costume and other applications to the body, of the conventional sense of the human body. 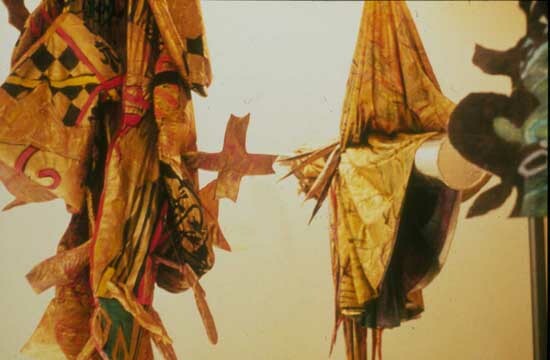 After working at UCLA, Los Angeles (1990) in their departments of Design and Film she became interested in video and for a short period engaged with semi surrealistic narratives, which she illustrated with 'costumes' made from conventional and industrial materials. She lost interest in the narrative and influenced by Stan Brackhage and the Flicker Filmmakers from the West Coast of North America she began to experiment with trance-inducing video. 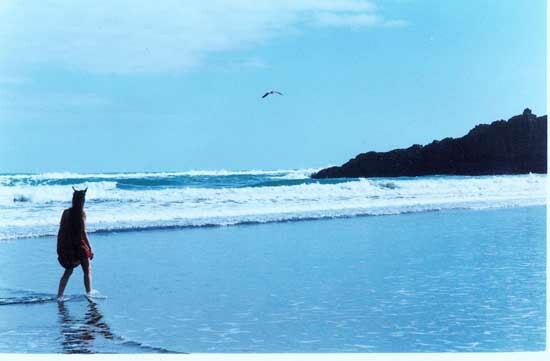 In 1993 in collaboration with the Head of the School of Anesthesiology at the Otago School of Medicine, they conducted an experiment using video to elicit the relaxation response. They used both physiological and psychological parameters and two videos that Patricia had made. This work, which included a video conference presentation was shown at the Subtle Technologies, Festival, 1999, in Toronto, Canada. Following this experiment she received funding in 1994 from Creative New Zealand to make the trance video Flowers, which incorporated sharp focus shots of flowers moving in rhythmical patterns set against abstract moving backgrounds. 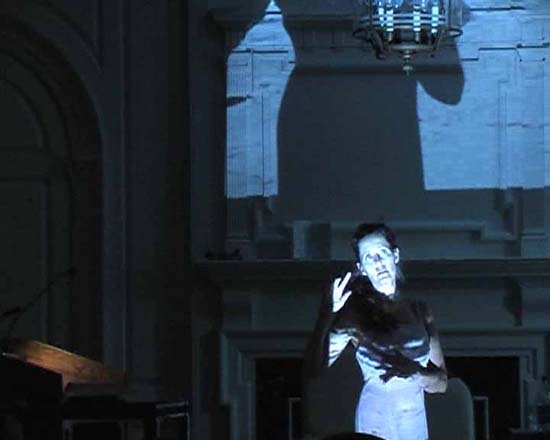 Both the rhythms in the video and those created by the editing were based on suggestions from Accelerated Learning, which uses Baroque music to induce light trance, through its underlying rhythm of 60 beats per minute. This work then led to experiments with ultrasonic sound in which she collaborated with Dr Brian Lloyd from the Department of Conservation, New Zealand. In 1996 they collected ultrasonics from a stand of Rimu trees in the middle of the North Island of New Zealand and Patricia used the Cthugha software to create video from the sound and still images of the tree. She was looking for a way to take a hands-off approach to the editing of images of the tree and using 'Cthuga' allowed the sounds of the tree to edit still images of tree. In this work and the following experiments with heat emission video and ultrasonics in 2004 with Hank Kaczmarski from the Illinois Simulator Laboratory at the University of Illinois at Urbana Champaign, Illinois, she experimented with the idea of visualizing emissions from trees that are beyond the range of human senses. Most recently she has been working on short one-shot videos of moments she finds in Nature when light and form combine in contemplative rhythms. She calls these songs and has complied twelve of them in the DVD, 'Rain, Ocean, River: Visual Songs for Contemplation'. Currently she is completing a PhD in Philosophy at the University of New South Wales, Sydney, Australia in which she is investigating the links between contemplation and learning. 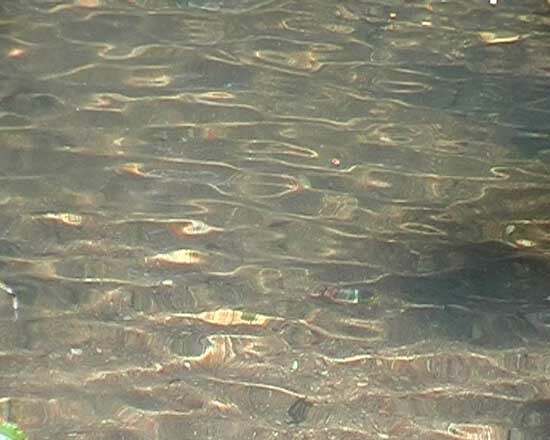 Pool (2009) Video Still, Visual Songs for Contemplation Coromandel, New Zealand. 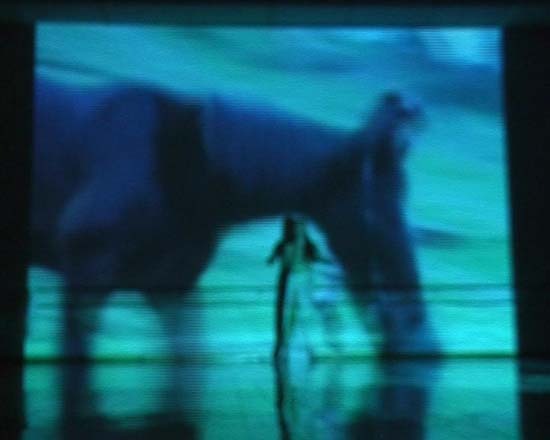 Raindancing (2009) Video Still, Visual Songs for Contemplation Sydney, Australia. 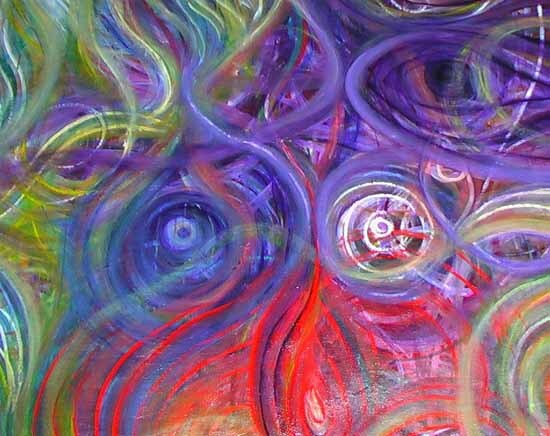 Energy Movement (2005) Acrylic on canvas Tauranga, New Zealand. Four Parts of Me (2005) Video Still. Dance Department, University of Illinois at Urbana Chapaign, Illinois, USA. 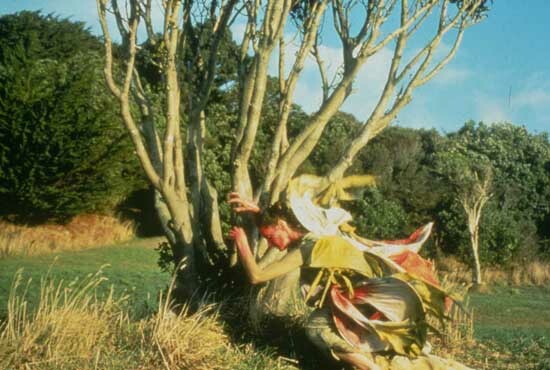 Performative Autoethnography (2005) Video Still Massey University, Wellington, New Zealand. Performative Autobiography (2004) Video Still First International Symposium of Qualitative Research University of Illinois at Urbana Champaign, Illinois, USA. The Mulberry Tree 1 (2004) Video Still, Heat Emission Video and Ultrasonic Sound Illinois, USA. 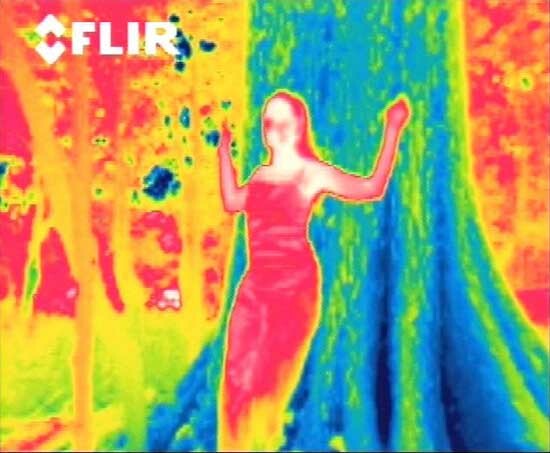 The Mulberry Tree 2 (2004) Video Still, Heat Emission Video and Ultrasonic Sound Illinois, USA. 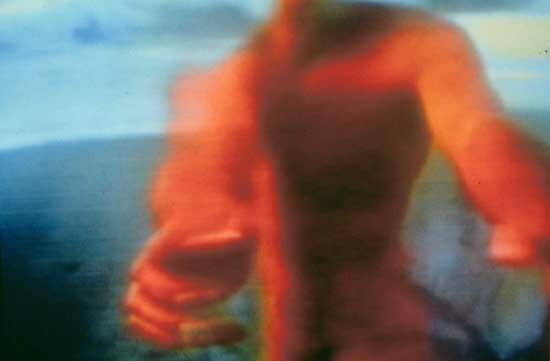 Red Man (1995) Video still Group show 'Sufferage Year' New Moon Gallery, Wellington New Zealand. 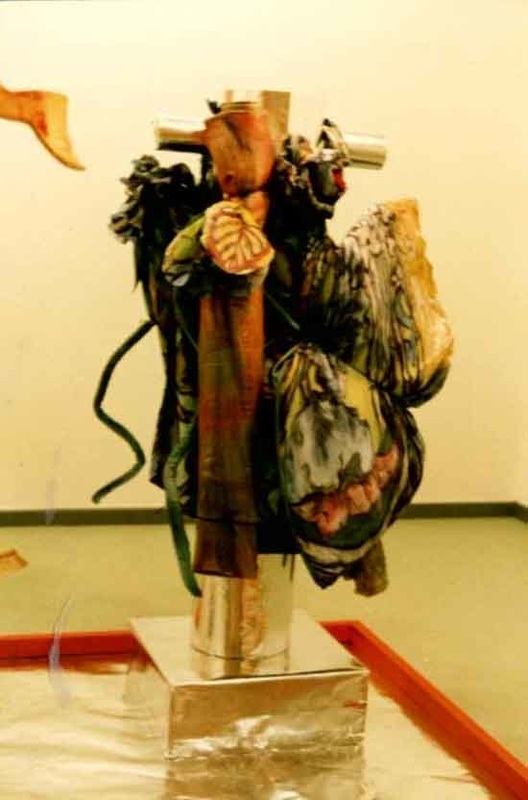 Encapsulated (1988) Dye on Silk, with cane, foam and silk maché. Section of one-person show Dowse Art Museum, Lower Hut, New Zealand. 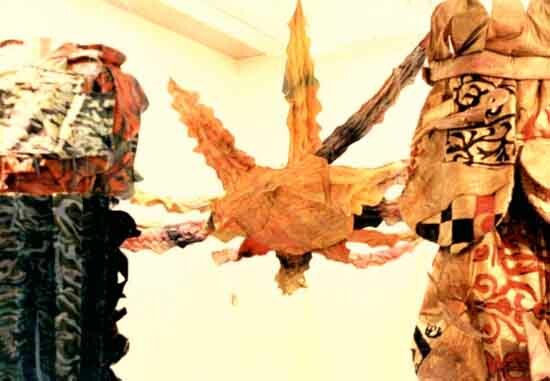 Encapsulated (1988) Dye on Silk, with cane, foam and silk maché. Section of one-person show Dowse Art Museum, Lower Hutt, New Zealand. Encapsulated (1988) Dye on Silk, with cane, foam, silk maché and board. Section of one-person show Dowse Art Museum, Lower Hutt, New Zealand. 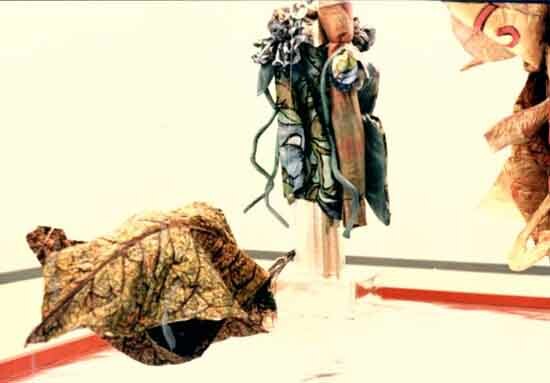 Encapsulated (1988) Fabric Sculptures Section of one-person show Dowse Art Museum, Lower Hutt, New Zealand. 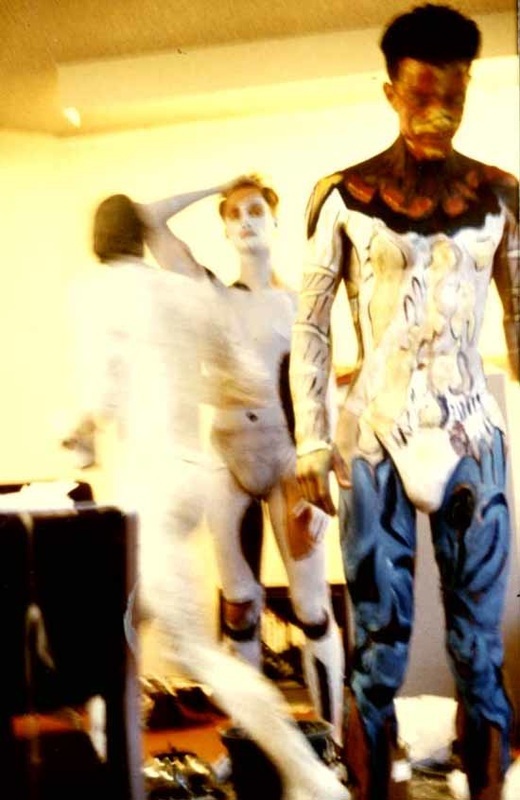 BirdMen (1987) BodyPainting Group show titled 'Body Adornment' Dowse Art museum, Lower Hutt, New Zealand. 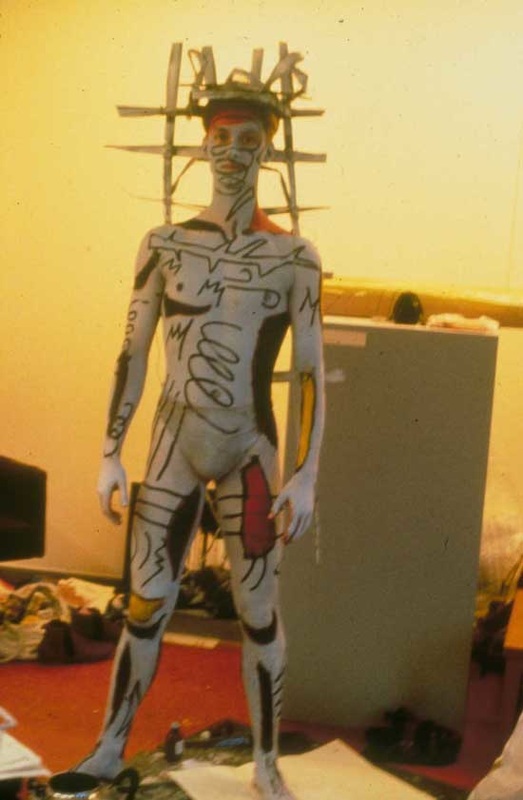 BirdMan (1987) BodyPainting Group show titled 'Body Adornment' Dowse Art museum, Lower Hutt, New Zealand. Kangaroo Paw (1985) Hand-painted silk and cane. Exhibited group show Wellington Museum, Wellington. 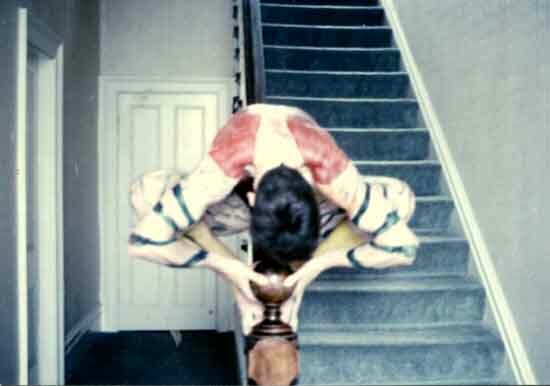 Flying (1985) Experiments with Bodypainting as costume. Robert Wood Dance, Wellington, New Zealand. Swimming Pool (1983) Dye on Silk, hand painted costume Wellington, New Zealand.